Sunshine Coast residents and businesses have spent the past few weeks happily welcoming holidaymakers during one of the busiest holiday periods the region has seen for some time. It’s little wonder then that our own tourism operators are feeling the need to take a short break themselves, but when you are lucky enough to live in an idyllic holiday destination on a daily basis, just where is it that locals can escape to when the need arises? Why not visit the reinvigorated Fraser Coast? The area has ‘grown up’ over the past few years and while it has always been there, how many of us have actually taken the short drive north lately? You’ll feel surprisingly like you’re a world away with a stunning range of experiences now on offer to cater for any type of holiday. 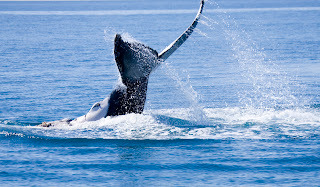 The Fraser Coast is Australia’s ‘Home of the Humpbacks’, with Hervey Bay widely regarded as the whale watching capital of the world. From late July through to early November, the area’s calm waters play host to an estimated 13,000 Humpbacks who, rather than just pass through on their annual return journey south, make the Bay their temporary home. phenomenon of a boat being ‘mugged’ by inquisitive whales is an exciting part of the uniquely special whale encounters experienced by close to 50,000 visitors a year. 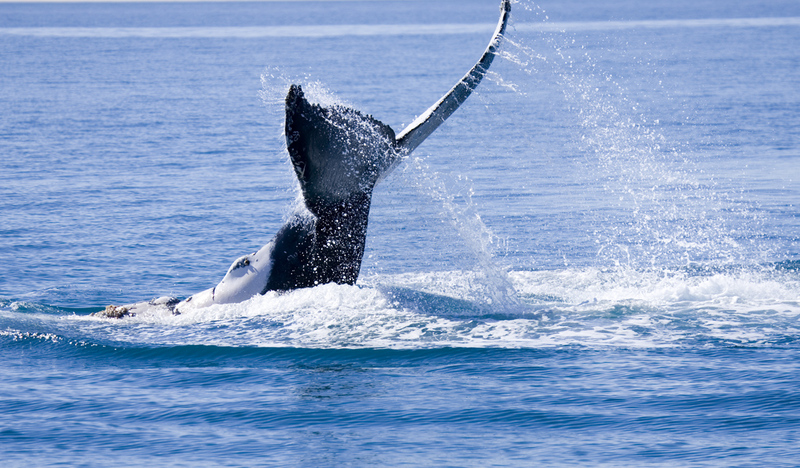 But, it’s not only Whale Watching that has visitors flocking to the area. The Fraser Coast is also a gateway to the iconic Fraser Island and the chance to experience eco-tourism in its purest form. The world’s largest sand island is a sanctuary for some 350 species of birds, wallabies, echidnas and of course, some of Australia’s purest Dingoes. It’s also one of the few places on earth where pristine rainforests thrive in sand. While 4WDing, camping and fishing are well-known activities on the island’s expansive eastern beaches, it’s not until you get a chance to explore the inland regions of Fraser Island that you can truly appreciate the magnificent beauty of the World Heritage-listed icon. And, there is absolutely no better way to experience that wilderness than from the spectacular surrounds of the laid-back, eco-friendly Kingfisher Bay Resort. Having recently celebrated its 20th anniversary, the highly awarded resort remains an ecotourism benchmark, setting standards now aspired to by ecotourism ventures worldwide. The large-scale resort has 152 hotel rooms, more than 100 self-contained villas and Holiday Houses, a Wilderness Lodge for groups, three restaurants, four bars and a shopping village; and is the perfect place to unwind after a day of exploring Fraser’s many freshwater lakes, beaches, rainforests and historical sites. The full-day ‘Beauty Spots’ tour traverses the inland island tracks, stopping at the sapphire-blue freshwaters of Lake McKenzie, exploring the deep woods of the historical Central Station, pristine Wanggoolba Creek and rainforest and calling in at the Eurong Beach Resort Restaurant for a full buffet lunch before heading onto the sandy highway of 75 Mile Beach. From there, it’s a somewhat smoother ride to the Maheno Shipwreck, the coloured sands of The Pinnacles and the popular freshwater swimming hole, Eli Creek. The island’s Dingoes are commonly spotted along the beach and the tour makes one final stop at the breathtaking Stonetool sand blow before returning to Kingfisher Bay. Air Fraser Island, which also operates aero-commute services from Sunshine Coast Airport, conducts spectacular 20 minute scenic flights from the beach, and tour guests have an opportunity to explore Fraser from above for just $70. Access to Kingfisher Bay Resort, and the many wilderness discovery opportunities is via a 45 minute barge transfer from River Heads, with the Resort’s mainland reception also offering bus transfers from Hervey Bay Marina or secure car parking at River Heads. Whether it’s a day away, a short weekend escape or a longer break, you can discover more about the many exciting opportunities to holiday on the Fraser Coast. There's also a gallery of photos from the trip on my website. This blog has been reproduced with the permission of the author.